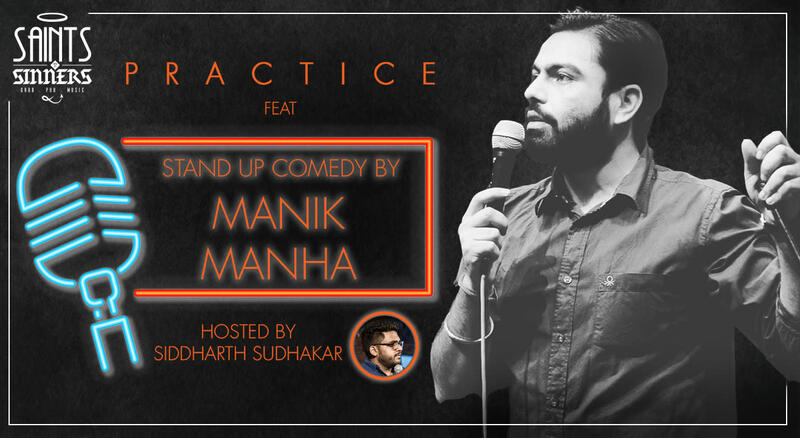 SNS Funny Times Presents - Practice Ft – A Stand Up Comedy Show featuring Manik Manha. Manik Manha is an up and coming comedian from Delhi, who has performed at several comedy shows and events. His style is dry, almost offensive but incredibly funny. His style of comedy is what he's best known and loved for. After having performed at almost all comedy venues in Delhi, he's now ticking off the best comedy centres across the country and now he is at your favorite - Saints N Sinners !